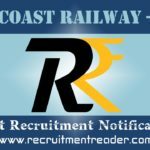 Latest Northern Railway RRC Recruitment Notification 2019 – Northern Railway invites applications from retired railway staffs of Mechanical and Civil Engineering Department of Northern Railway for re-engagement. NR announced 33 vacancies for the re-engagement process. Among 33 vacancies, 07 vacancies are going to be filled in Mechanical Engineering Department and 26 vacancies are going to be filled in Civil Engineering Department. Candidates who have eligibility as per Northern Railway Notification may submit their applications through proper channel in prescribed format. The prescribed application form is available in Northern Railway website. The Last date to submit the application is 06.05.2019. Application Process:- Download application format from Northern Railway website. Submit the completely filled application form to the following address, Single Window Cell/ Personnel Branch, Northern Railway, Head Quarters Office, Baroda House, New Delhi. Logon to Northern Railway website and then locate News & Recruitment Info>> Recruitment Info. In Recruitment Info, find notification for above said post. Download the advertisement and read it completely to check eligibility conditions. Submit the completely filled application as per the procedure given in the advertisement. 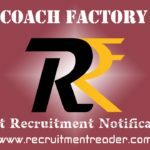 Find upcoming Northern Railway RRC Recruitment Notifications @ Recruitment Reader. For more details regarding Northern railway RRC Recruitment Notification 2019 logon to www.nr.indianrailways.gov.in. The information given above is based on the Northern Railway official advertisement. Northern Railway invites applications from retired railway staffs for re-engagement as Stenographers. NR announced 14 vacancies for the re-engagement in HQ Office at Baroda House. Candidates who have eligibility as per NR Notification may submit their applications through proper channel in prescribed format. The prescribed application form is available in the railway website. The Last date to submit the application is 25.03.2019. Download application format from Northern Railway website. Submit the completely filled application form to the following address, Single Window Cell/ Personnel Branch of Baroda house, Head Quarter Office or Room No. 339 Personnel Department 3rd Floor, Annexe 1 Building, Baroda House. 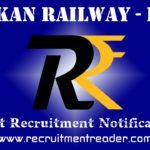 For more details regarding Northern railway RRC Recruitment Notification 2019 logon to www.nr.indianrailways.gov.in. The information given above is based on the Northern Railway official advertisement. Northern Railway invites applications from retired railway staffs of Para Medical, Accounts and Civil Engineering Department for re-engagement. NR announced 224 vacancies, 164 vacancies are announced for Para Medical Staff, 30 vacancies for JE/Drawing/HQ, 15 vacancies for JE/Bridge/HQ, 03 vacancies for Sr. Section Officer, 06 Vacancies for Accounts Assistant, 01 vacancy for Finger Print Examiner, 02 vacancies for Technician and 03 vacancies for Patwari Clerk. Eligible northern railway retired employees may submit their applications through proper channel in prescribed format. The prescribed application form is available in the railway website. The Last date to submit the application for para medical staff is 25.01.2019 and Civil Engineering Dept. (JE/ Technician/ Patwari Clerk) is 12.02.2019. The Last date to submit the application for Sr. Section Officer, Accounts Assistant and Finger Print Examiner is 28.02.2019. Download application format from Northern Railway website. Then send the completely filled application form to the following address. For para medical staff, Room No. 26 in Northern Railway Central Hospital, Basant Lane New Delhi. For JE/ Technician/ Patwari Clerk, Room No. 345 Personnel Department, 3rd floor, Annexe 1 Building, Baroda House New Delhi. For Sr. Section Officer, Accounts Assistant and Finger Print Examiner, The PFA, Baroda House, Northern Railway, New Delhi by registered post. In Recruitment Info, find notification 752-E/Re engagement/Para Medical/CH/2019, No.754/Re-engagment/HQ/EIIBI & 2017/Admn-II/C/5/AA/Re-engagement . Northern Railway (NR) Recruitment Cell published notification for the recruitment against Cultural Quota for the year 2018-19. Railway Recruitment Cell (RRCNR) announced 02 vacancies for Classical Vocalist (Male/Female) and Classical Dancer (Female) posts. Candidates who have eligibility as per RRCNR Notification may apply online at Northern Railway Recruitment Cell (RRCNR) website. The Last date for the submission of the online application is 27.02.2019. 12th standard (+2 Stage) or its equivalent. Look into RRCNR Cultural Quota Notification for more details of qualification. For Unreserved candidates, ₹ 500/- (Non-Refundable). Logon to Northern Railway Recruitment Cell (RRCNR) website. Find the notification link for Cultural quota at the top. For more details regarding Northern Railway RRC Recruitment Notification 2019 logon to www.rrcnr.org. The information given above is based on the RRCNR official advertisement. Northern Railway Recruitment Cell (RRCNR) invites applications for the engagement of Apprentices in NR zone. RRCNR announced 1092 vacancies in various units/ divisions/ workshops. Candidates who have eligibility as per RRCNR Advertisement may apply online for Apprenticeship Training at RRCNR website. Online application link will be activated from December 31, 2018 (31.12.2018). The Last date for the submission of the online application is 31.01.2019. Date for age consideration is 31.01.2019. ITI (NCVT/ SCVT) in relevant trade. Check RRCNR advertisement for more details of qualification. 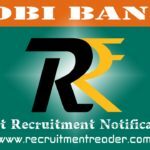 No fee for SC/ ST/ Women/ PH candidates. Find notification for engagement of 1092 Act Apprentices. Northern Railway (NR) Recruitment Cell published notification for the recruitment against Scouts and Guides Quota for the year 2018-19. 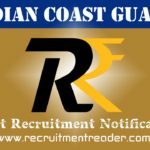 Railway Recruitment Cell (RRCNR) announced 19 vacancies for Group ‘C’ and Group ‘D’ posts. Among 19 vacancies, 03 vacancies are allotted for Group ‘C’ Posts and 16 vacancies are allotted for Group ‘D’ posts. Candidates who have eligibility as per RRCNR Notification may apply online at Northern Railway Recruitment Cell (RRCNR) website. The Last date for the submission of the online application is 30.01.2019. Group ‘C’ – Age limit is 18 to 30 years. Group ‘D’ – Age limit is 18 to 33 years. Group ‘C’ – 10+2 (+2 Stage) or its equivalent. Group ‘D’ – 10th standard + NAC (NCVT)/ ITI. A president Scouts/ Guides/ Rover/ Ranger or HWB Holder. Active Member of Scouts organization for last 5 years. Look into RRCNR advertisement for more details of qualification. Find the notification link for Scouts and Guides quota at the top.